Coat oxtail with steak seasoning. Chop apple and onion into large chunks. 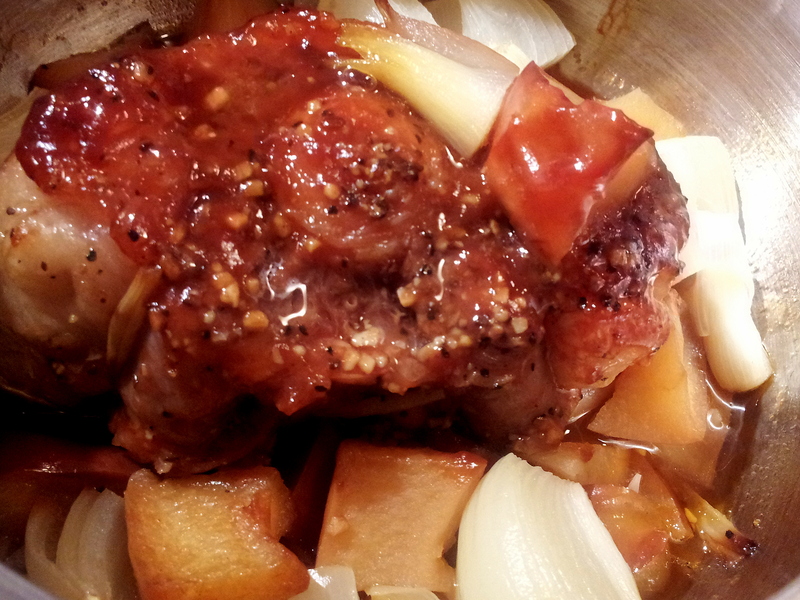 Put all ingredients into slow cooker. Cook on medium for 3 hours. (2 servings, 194 cal per serving) Serve with honey glazed carrots and steamed beet greens.